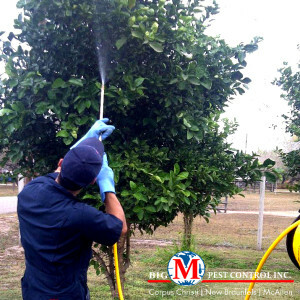 Big M Pest Control of Corpus Christi TX offer the best in tree spraying services to protect your plants and trees including fruit trees, lawn trees and pecan trees from pest and diseases. Our tree spraying kill and prevent insects from taking over your plants, fruit and trees including ash trees, oak trees and pecan trees. Need other plants and trees protected? No problem! Call Big M Pest Control in Corpus Christi for a free quick quote for your pest control needs! CONTACT US!